Ok, I am done with the coop. I finished putting the roof on about 5 minutes before a storm came through, nothing like a trial by fire. Overall, I am pretty happy with it…but mostly I am pretty happy it is done. 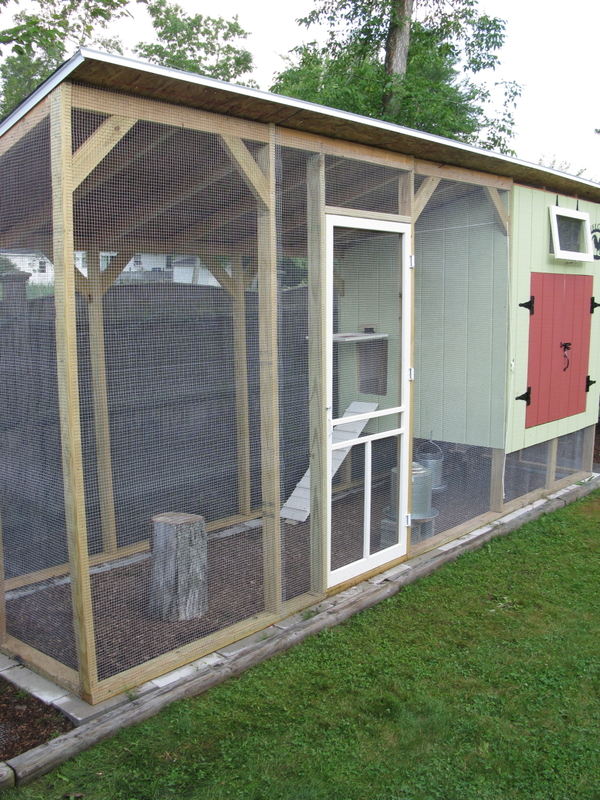 I am sure we will have a few things to tweek, but the birds are in the coop, the roof worked nicely, and all-in-all, it is a fully functioning chicken coop. 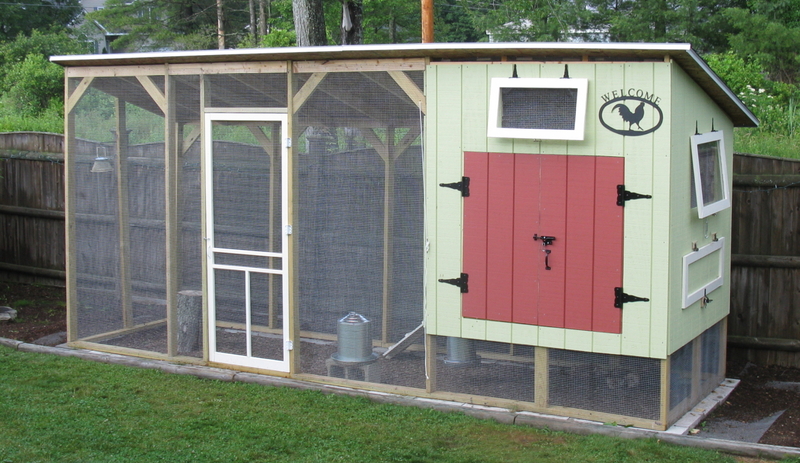 Now, if only we can train our younger Golden Retriever to stop trying to get the chickens in the coop, we will be set. I would particularly like to thank my father for helping this weekend. He trimmed the shingles, and acted as my gopher all day, a real roll reversal from when I was a kid. Ahh, who am I kidding, I always wandered off and was a terrible gopher. Also, I want to thank my wife for doing all the painting, a job I despise with a passion as hot as the sun. I will likely post more on the coop in the future, but right now, I just want to chill out, and enjoy what is left of this warm summer day, and daydream of omelets and pickled eggs!